He turned a single timed lap in the No. 27 Andretti Autosport Honda, but it was good enough to secure Rossi the fourth pole of his career and third this season. Rossi’s lap on the 2.258-mile permanent road course was 1 minute, 4.6802 seconds (125.677 mph). He will lead the 24-car field to the green flag in Sunday’s 90-lap race (3 p.m. ET, CNBC and Advance Auto Parts INDYCAR Radio Network; same-day encore telecast at 6:30 p.m. on NBCSN). Will Power qualified second in the No. 12 Team Penske Chevrolet, with a lap of 1:04.8939 (125.263 mph). It marks the eighth time this season that the 2018 Indianapolis 500 winner will start from the front row. Row 2 on the grid mirrors the front row by team. 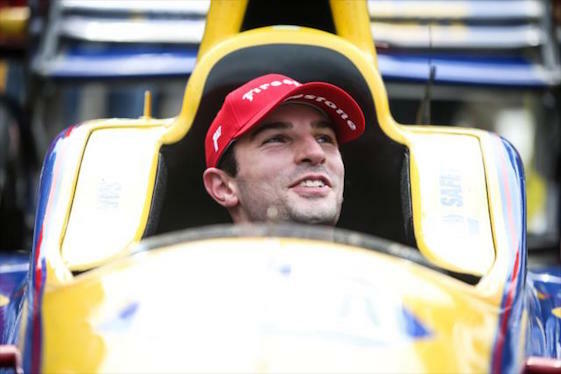 Rossi’s teammate at Andretti Autosport, Ryan Hunter-Reay, qualified third in the No. 28 Honda (1:04.9896, 125.078 mph). Reigning Series champion and defending Mid-Ohio winner Josef Newgarden, Power’s teammate, qualified fourth in the No. 1 Team Penske Chevrolet (1:05.1335, 124.802 mph).